Perfect to brighten a dark Winter night or bring warmth and magic to a cosy evening, the fragrant deW Meditarranean Candle gift box contains 3 beautiful, individually scented candles: one uplifting lily of the valley, one fresh grapefruit zest and one warm, sensual celebration musk*. 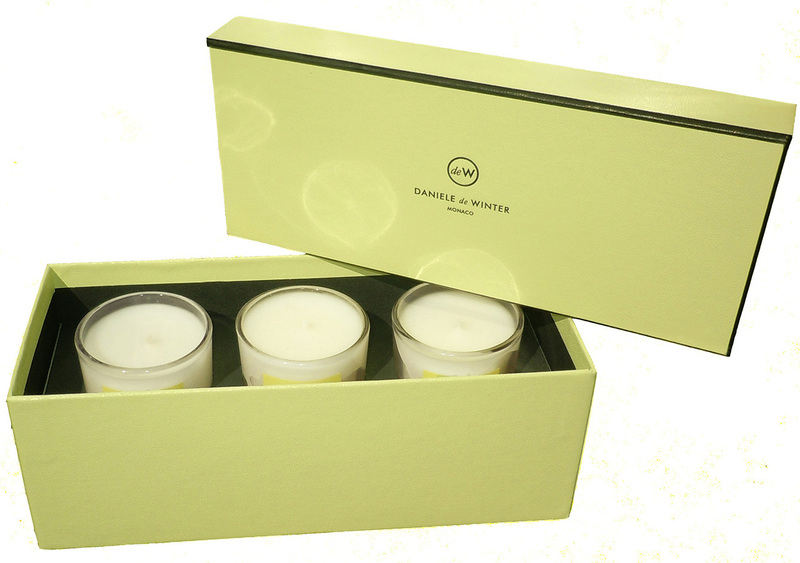 Presented together in a luxurious lime and black DANIELE de WINTER box. The perfect Christmas gift!